The world has become so fast-faced today that even with faster cars, better technology, and more improved everything, people are often constantly having difficulty managing their time because they have too much to do. This leads to a lot of “instants” – such as instant food, instant photos, etc. If someone could invent a machine/vehicle that could instantly transport people from one place to another, it would surely be sold out within minutes! This is the reason why businesses catering to busy people are the “in” thing these days. One of these is the Bayad Center which offers remittance and bills payment services as well as other business services such as credit card application and prepaid debit card reloading. Before you send your application for franchise, make sure you are willing to shell out that kind of money for a return of investment (ROI) expected to take some 2 years or so. How much are you going to make in a Bayad Center business? Well, the answer really depends on a lot of factors but if you can find a high-traffic location like a prime spot inside a busy mall, then the profits can be good. However, while you will be accepting a lot of money in your outlet because you’ll be receiving remittance and bills payments, you will not be earning a percentage from these transactions. 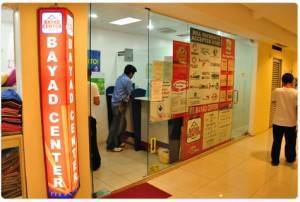 Instead, the Bayad Center franchisee earns a fixed amount per transaction. Thus, it would be best to franchise the Bayad Center along with another business [this is allowed, by the way] so you could earn from both and maximize the earning potential of your store or business outlet.